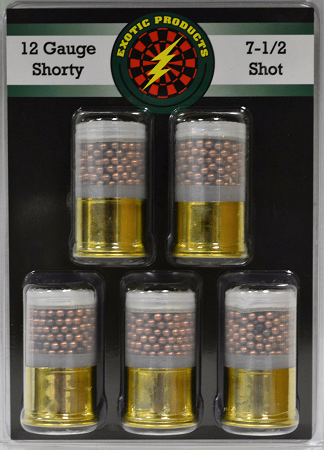 When your packing 7-1/2 Shot, why use steel ammunition, when you can have copper? Get a full spread of 7-1/2 Copper Shot. 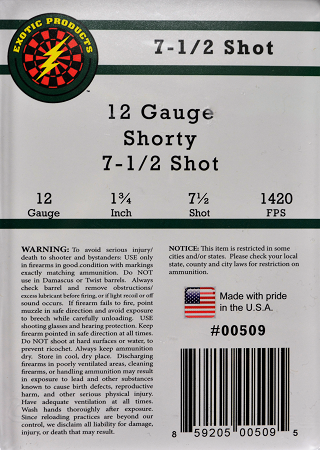 Exotic Products Shorty Loads - clear shotgun shells. See what your shooting before you take the shot.